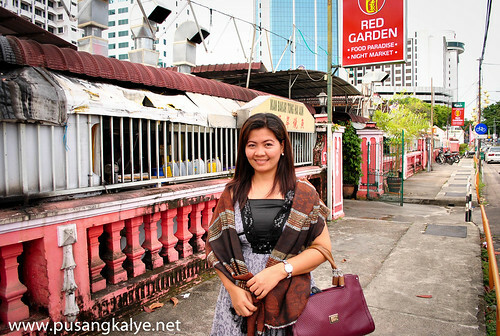 ICE KACANG and CENDOL are one of the things we tried at Red Garden Food Paradise and Night Market along Leith Street. 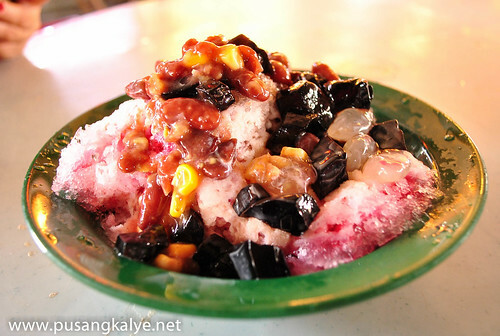 "This sweetened and refreshing dessert made with shaved ice is perfect for a hot day,especially when you add a generous scoop of ice cream.The art of making a perfect bowl of ice kacang has not changed for generations---fill a bowl with finely shaved ice topped with sweetened red bean,creamed sweet corn,attap chee (palm fruit),stips of dried nutmeg as well as colorful jellies frenched in palm sugar syrup,sarsi and rose syrup. For a finishing touch,drizzle liberal amounts of rich evaporated milk and you are ready to sink into a bowl of icy goodness.Other popular toppings include fresh or canned fruit,peanuts and raisin.Ice kacang is a halal dish." 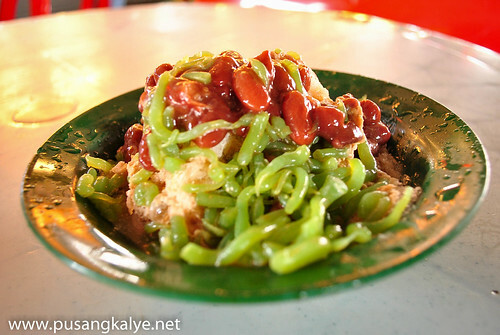 "Cendol gets its name from the green,chewy noodle-like condiment in this popular local desset.Cendol noodle is made of rice flour and gets its green colour from a local herb called 'pandan'.Pandan is a very aromatic herb and is used not only to make the cendol noodle but also to add fragrance to the palm sugar syrup used to sweeten this dessert. A bowl is first filled with finely shaved ice,red beans and the syrup is poured into the bowl.Finally,the cendol is scooped into it and then added with fresh coconut milk,drowning all the condiments in a delicious pool of coconuty goodness.The light,fragrant coconut milk sweetened by palm syrup for a truly exotic tropical dessert." I tried cendol in Melaka last time and I have been longing for it since then.What I like about it is its syrup----- gula melaka aka palm sugar=love. a little odd sa serving kasi naka-platito pero mukang yami!